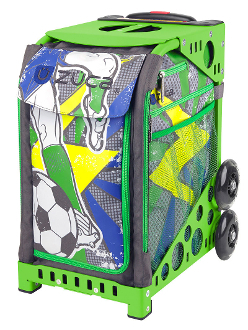 ZUCA Striker Insert & Frame is a great storage solution for soccer uniforms, overnight luggage and carrying wet sports. Run out of seating at the game? Don't worry, pull our your ZUCA and sit on it. Can also be used as weekender bags when you purchase the Pro Packing Pouches.